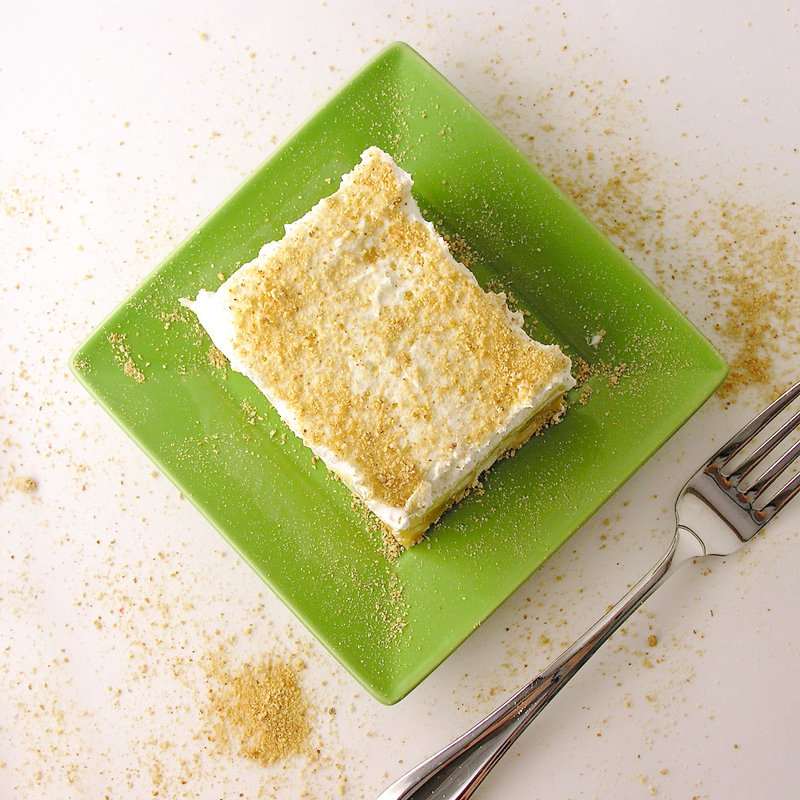 A Nilla Wafer crust filled with a creamy key lime pie and topped with piles and piles of sweet whipped key lime topping. 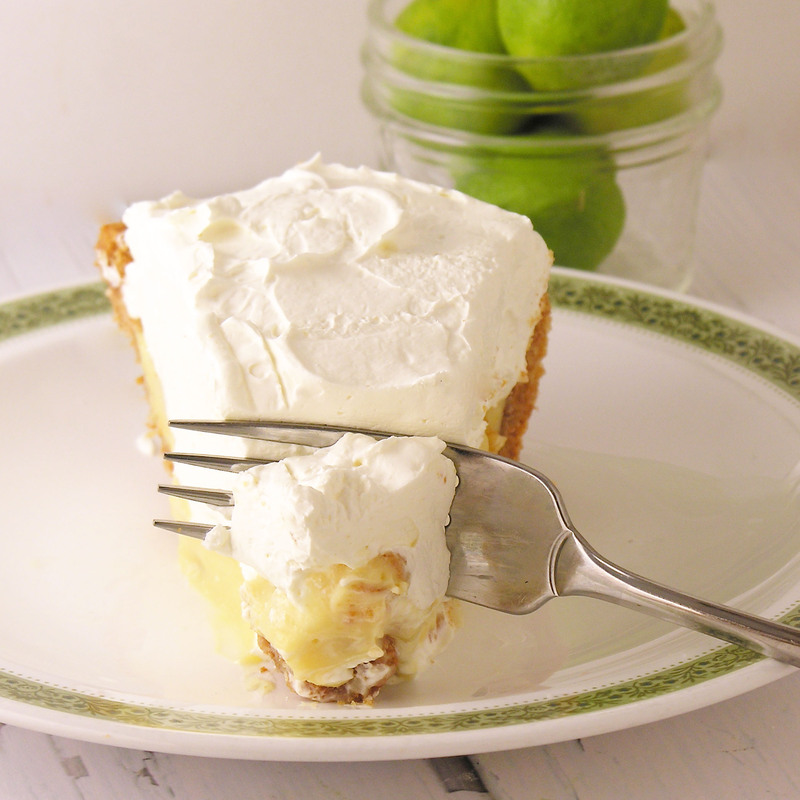 If you love key lime pie, this is your new favorite recipe for it!! I adore key lime pie. I love that tart and smooth pie filling. Whenever I get the opportunity, I try key lime pies, and I can honestly say that this is the best I’ve had…so far! This recipe is courtesy of my friends Chuck and Heather Lane. They pinched it from a newspaper article years ago that claimed it as the recipe of one of the fancier restaurants in Fort Wayne. We were out for dinner one night not long ago, and they started talking about this pie and I (of course!) asked for the recipe. They had made a few “tweaks” to it, and I honestly think it is perfect. My only disappointment with this recipe is the pictures I took of it. I wish I’d waited to cut it until it had chilled completely. It is BEAUTIFUL when it is cut chilled. Perfect layers of happiness. Mix together crushed vanilla wafers and melted butter until well combined. Press into a greased pie pan. Beat egg yolks and add 1 3/4 cups of sweetened condensed milk and 1/2 cup of key lime juice. Mix well and pour into crust. Bake at 350F degrees for 20-25 minutes. Cool completely. 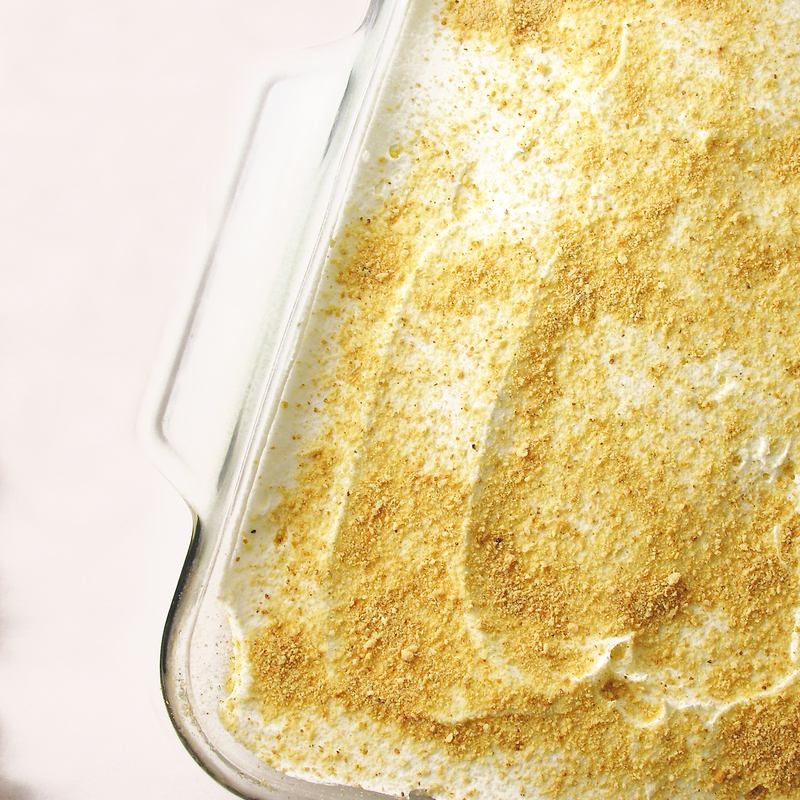 Beat together Cool Whip, 1 cup sweetened condensed milk, and 1/2 cup of key lime juice until smooth. It should have a nice shiny look. Top cooled pie with whipped topping and chill for several hours before cutting and serving. 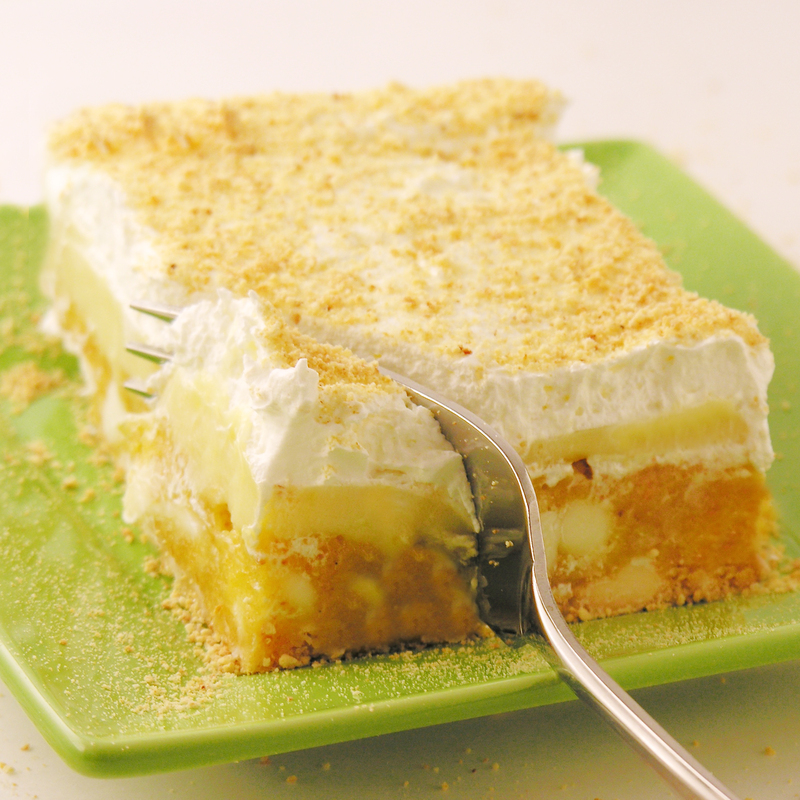 Posted in Pies and tagged best, easy pie recipe, fresh, key lime, key lime pie, key lime whipped topping, nilla wafer, Nilla wafer crust, pie, recipe, summer. Bookmark the permalink. 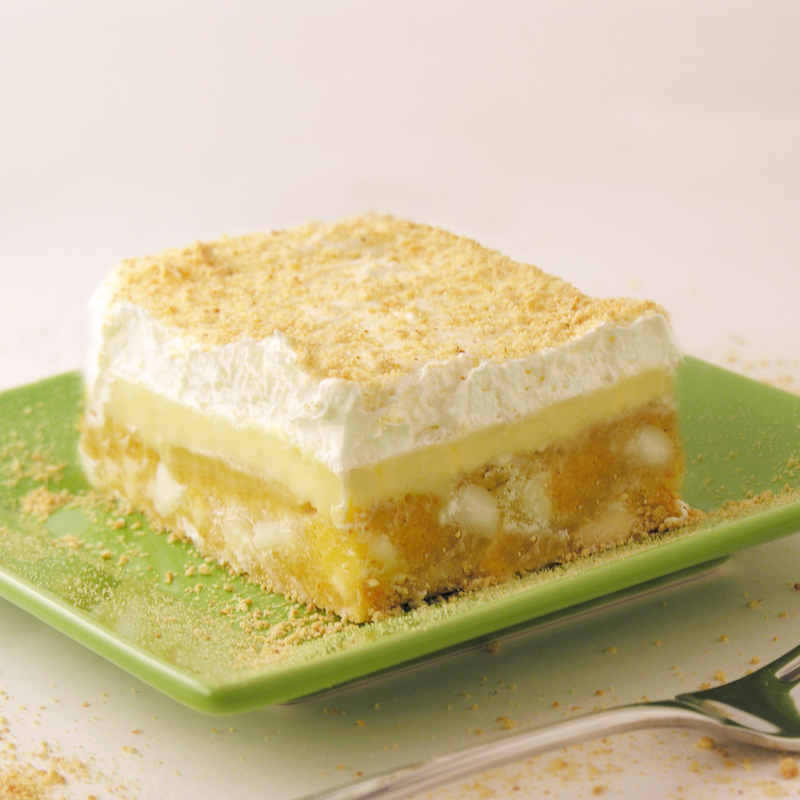 These delicious cookie bars have white chocolate and coconut on the bottom and key lime pie filling with whipped cream on top. 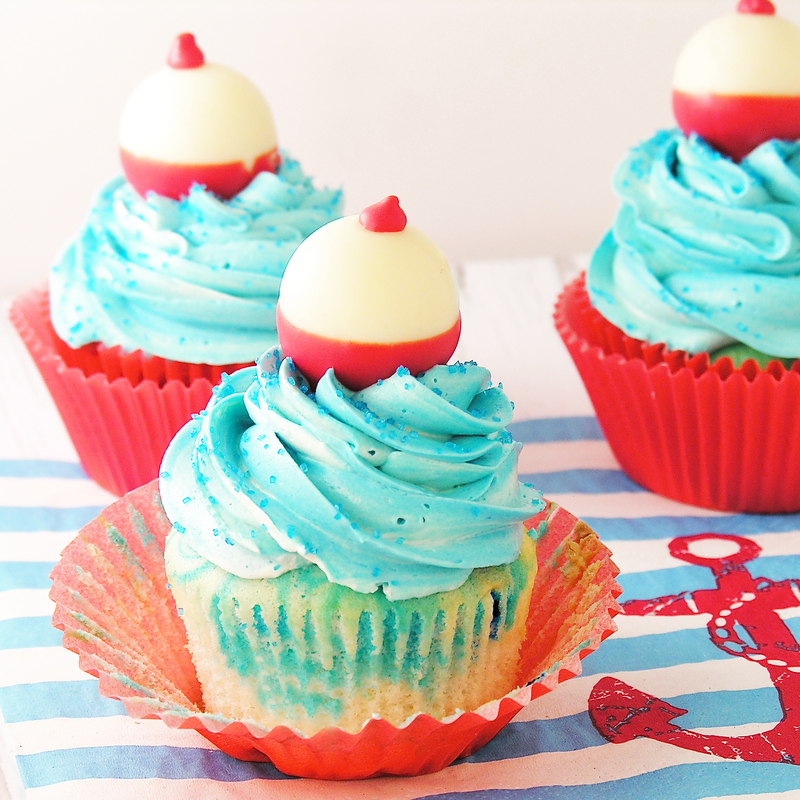 Such a refreshing treat for summer! I love key lime pie. I love cookies. 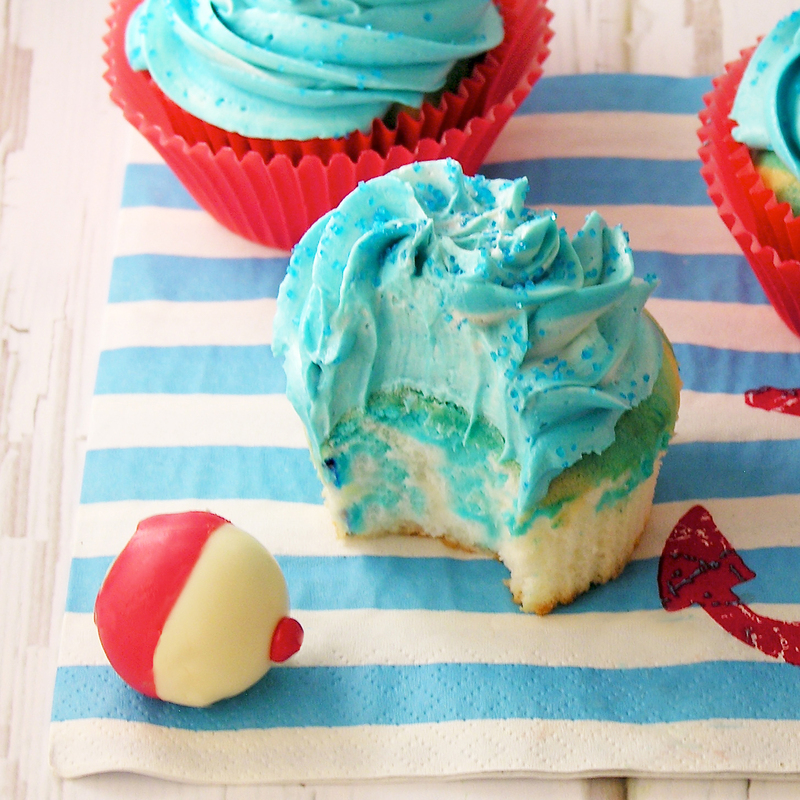 These smash those two worlds together into a sweet and tart summer dessert! Love it! One tub of cool whip, or 2 cups of whipping cream, whipped. In a mixing bowl, combine cake mix, oil and eggs well. Add chips, coconut and graham crumbs, and mix together with clean hands until well- combined. Press mixture into a greased cake pan and bake for 10 minutes at 350F degrees. 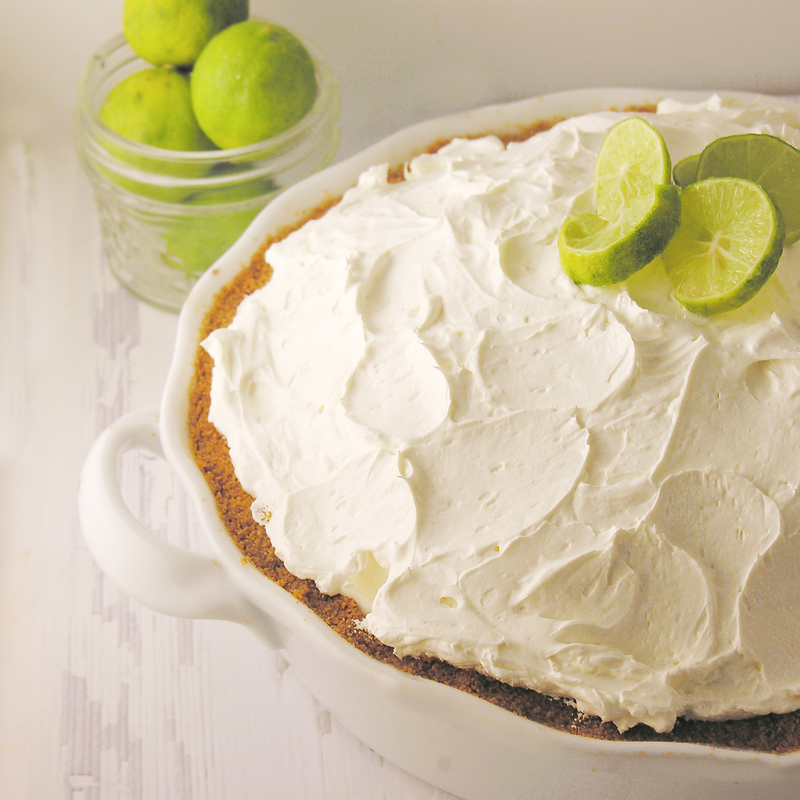 While this is baking, make key lime topping. Mix together lime juice, condensed milk and one egg until well combined. Pour over partially baked cookies and return to oven for another 20 minutes. Cool completely and top with whipped topping, sprinkle with graham crumbs, if desired. Chill until serving, but allow dessert to return to room temperature before serving. Posted in Cookies, Pies and tagged coconut, coconut cookie bar, cookie bars, dessert, key lime, key lime cookie, key lime pie filling, recipe, summer, whiiped topping, white chocolate. Bookmark the permalink. 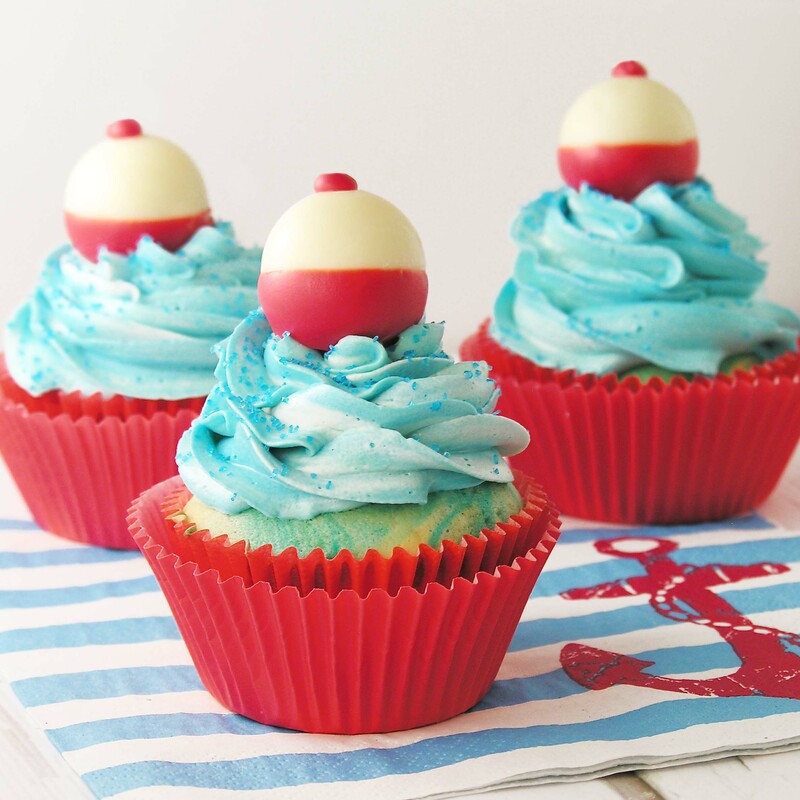 Fourth of July Dessert Ideas! Oh my, I love the fourth of July! I love the picnics, and pool parties, and cookouts, and fireworks…and the time with family! My parents have always (like always, for as long as I can remember!) 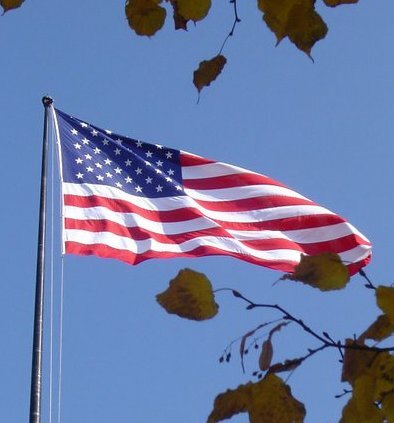 had a giant pool party for the fourth and invited our entire extended family for burgers and brats and volleyball and sunshine….and for a competitive display of our best “at home” fireworks we could find, later in the evening. I have so many fun memories of chasing fireflies and waving sparklers with my cousins (that are all grown with kids of their own now!). This year is different. For starters, mom isn’t here to orchestrate the complexities of the celebration. The house is in boxes and bags- ready to show to whomever might be interested in buying, and the pool and yard are immaculately kept. Pool toys and floats are all deflated and either sold or put away. Sometimes I sit on the back porch and watch the fireflies and remember all the laughter and fun. I know that these times are not forever over. This year is different, but once dad settles into his new place there will be other celebrations and family times over the fourth. This year though…my heart wasn’t in the “create something new and fun” place. So instead, I thought you might enjoy a collection of some of my previous red-white-and-blue recipes. You can click on the photo or the title, to be taken to the recipe. Flip Flop Cookies for the Fourth! Red White and Blue Bundt Cake! Posted in Brownies, Cake Pops, Cakes, Cookies, Cupcakes, Seasonal dessert and tagged brownies, bundt cake, cake, chocolate, cookies, cupcakes, dessert, dessert collection, Fourth of July cake, fourth of july cookies, fourth of july cupcake, fourth of July recipes, fun, kids, oreo pops, patriotic recipes, recipe collection, red white and blue, red white and blue dessert, stars, summer. Bookmark the permalink. 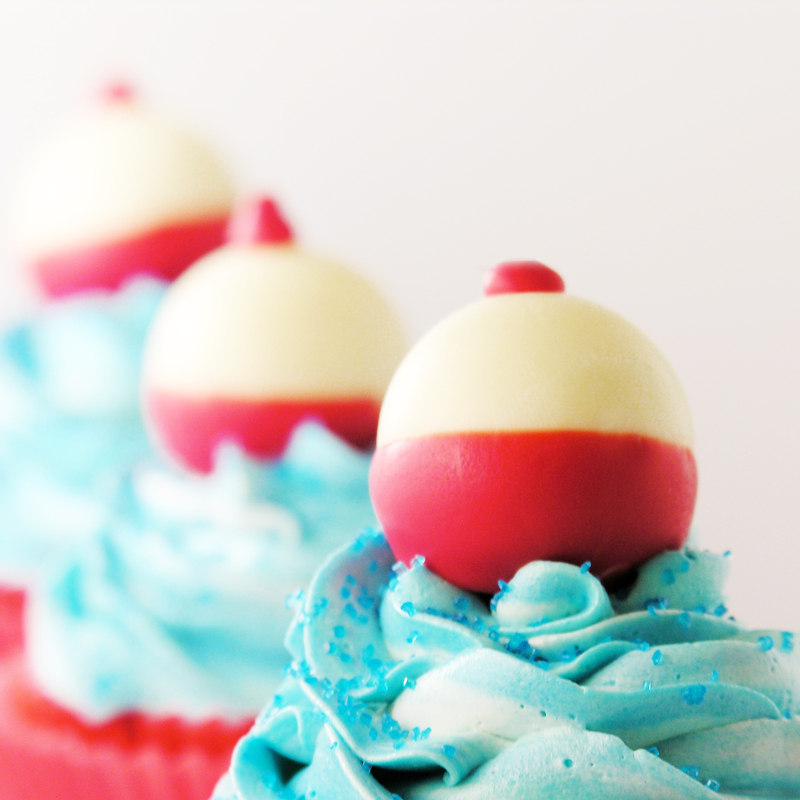 If your dad loves fishing, these fun bobbers on waves of blue buttercream frosting will make him smile! A perfect Father’s Day treat! 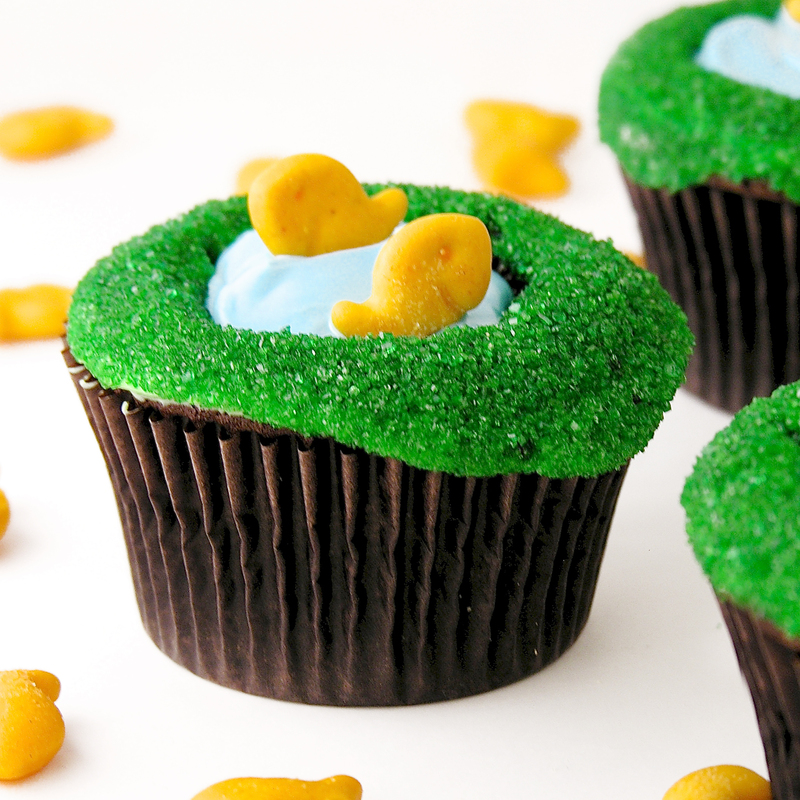 The idea for this recipe began last year before Father’s Day. 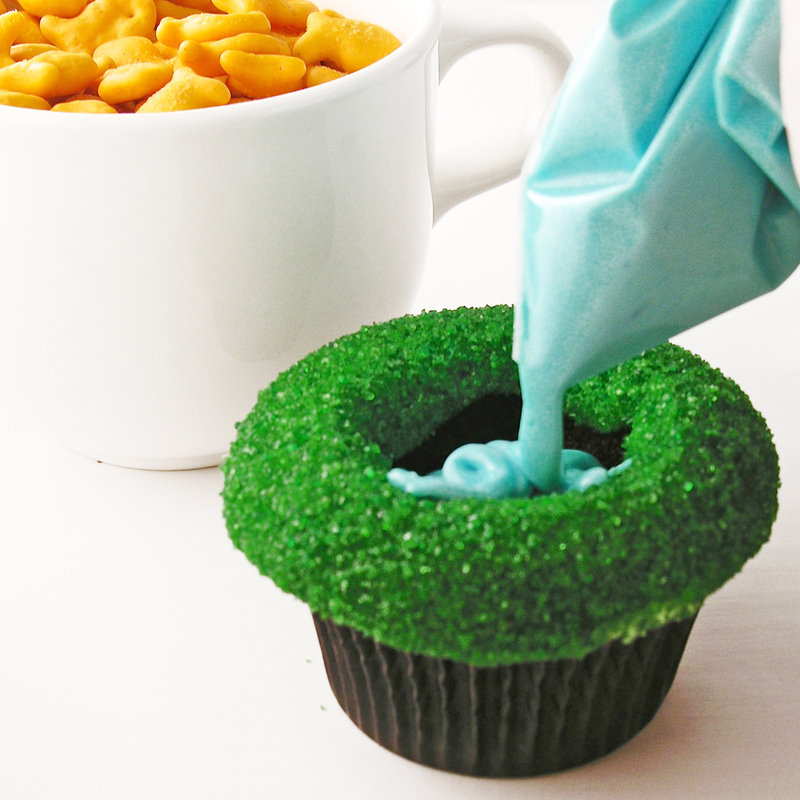 I was pondering the idea of cutting a hole in the top of a cupcake and finding (or making) an edible golf ball to set inside of it. 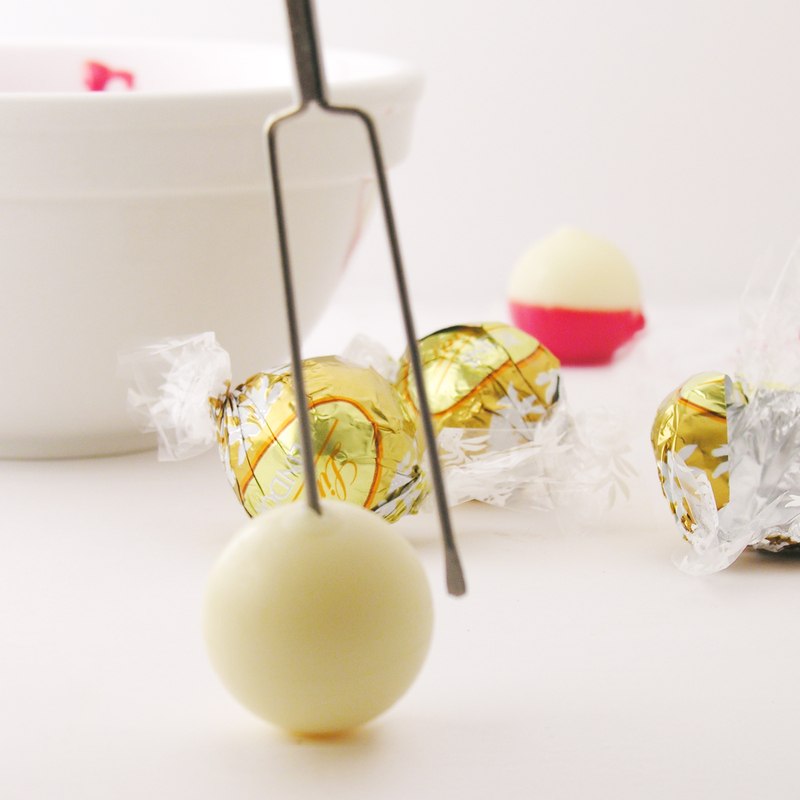 One morning the lightbulb came on: Lindt White Chocolate Truffles! They were perfect, and as I unwrapped all that yummy chocolate I brainstormed for other ideas. One of those ideas was another Father’s Day treat- fishing bobbers! I filed the idea away until this year came around and then gave it a go. I wasn’t sure if I would be able to dip the truffle in warm chocolate without it melting, and if it would actually look like a bobber– but I love them! My dad loved them too. Make cake mix according to package. Swirl the 2 colors together (don’t mix too much!) 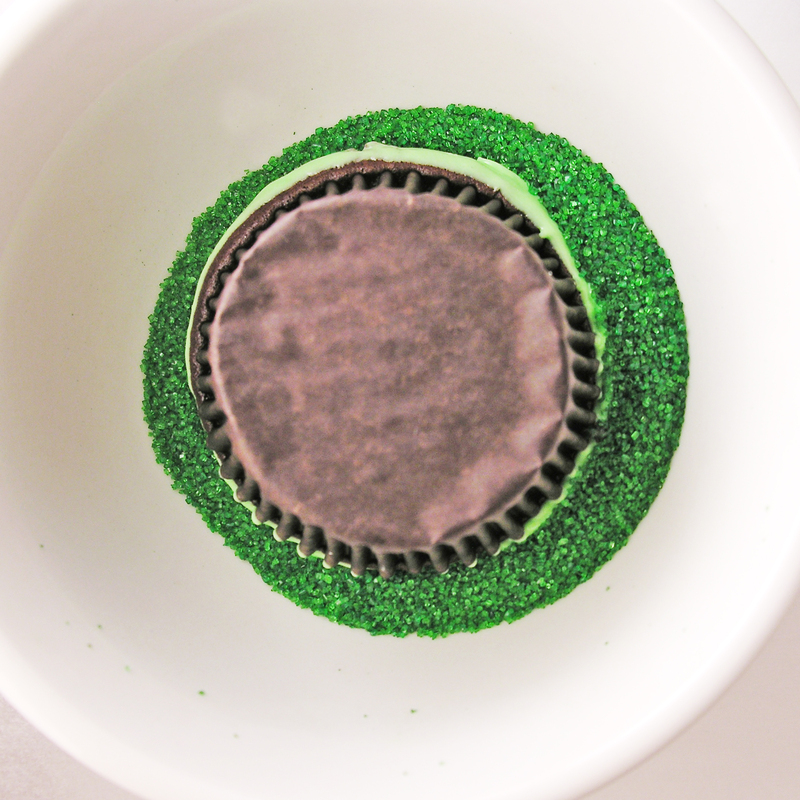 and scoop into 24 cupcake liners placed in a baking tin. Make frosting by placing butters, powdered sugar and vanilla into a large bowl and beating on high until light and fluffy. Divide frosting in half and color one half blue. 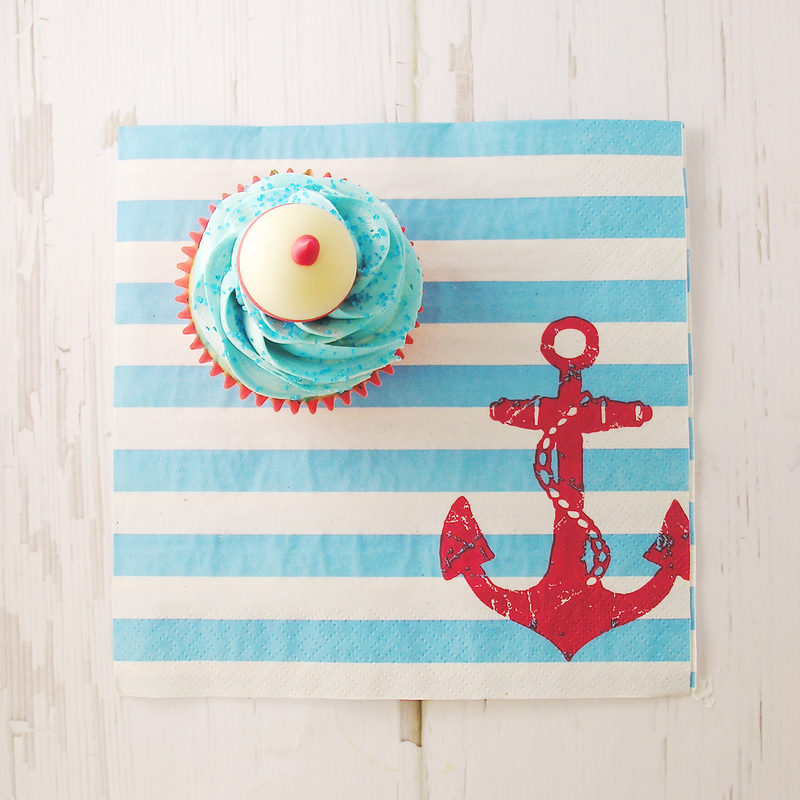 Swirl together the blue and white frosting and place into a large zip-top bag, fitted with a decorating tip. 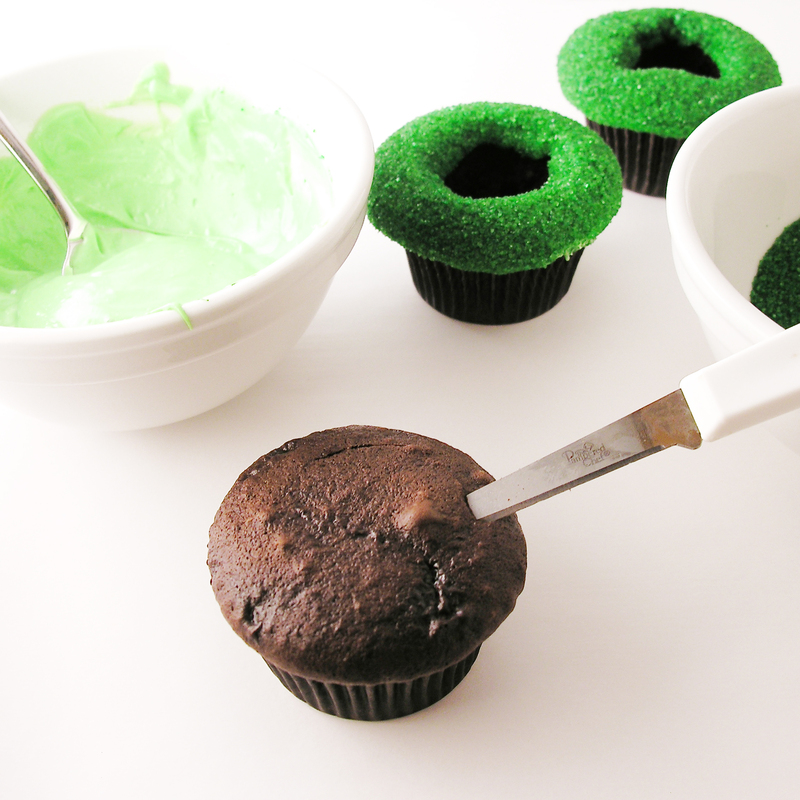 Pipe frosting on top of cupcakes. To make toppers: Unwrap all Lindt truffles. Melt red candy melts in a bowl in the microwave for 30 second increments, stirring in between, until melted and smooth. 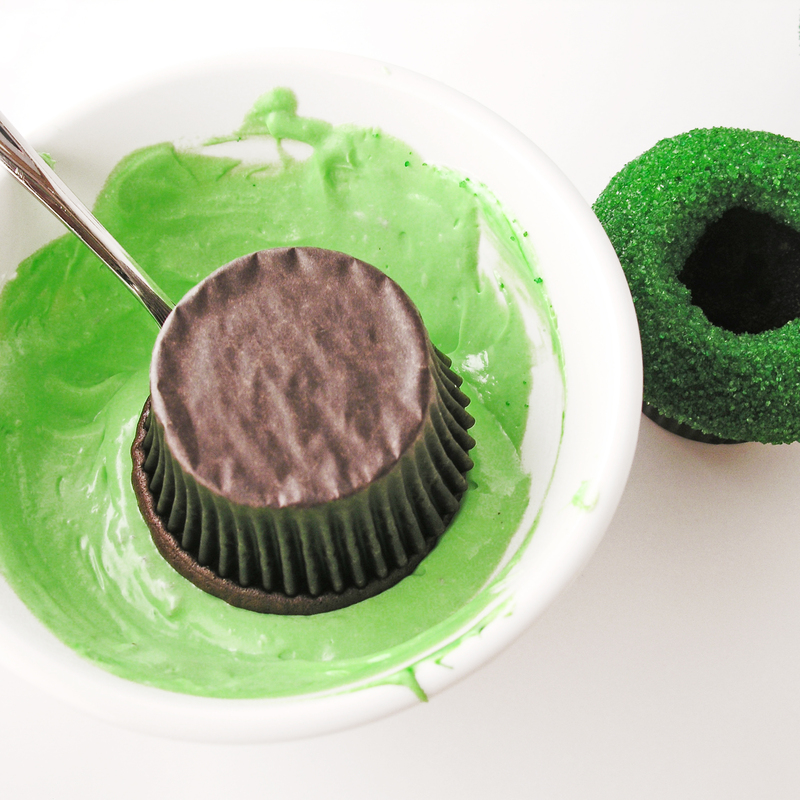 Allow candy melts to cool a little before dipping. 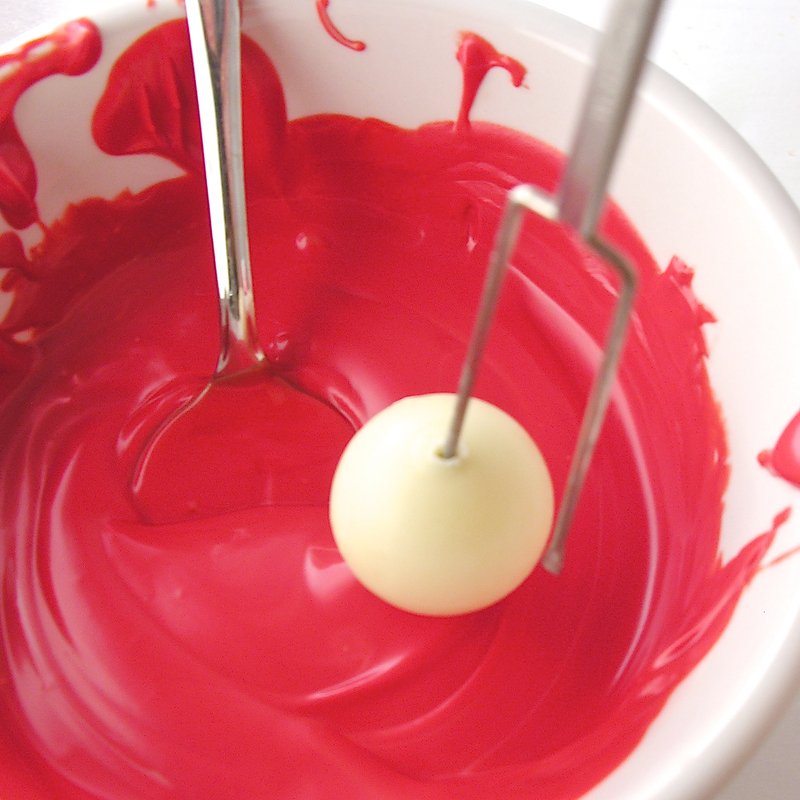 Use a small skewer or fork to dip each truffle into red candy melts, covering the bottom half in red. Place these on clean parchment paper to cool and harden. Place remaining melted red chocolate into a small zip-top bag. Clip a corner and carefully pipe a small circle of red on the top of each “bobber”, covering the hole made by the skewer used for dipping. 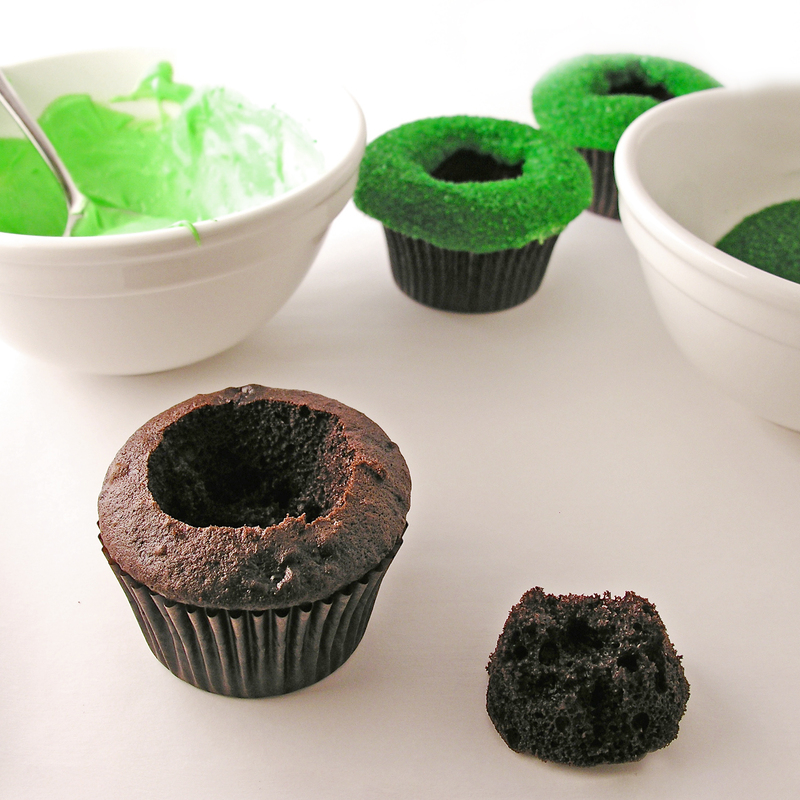 Once “bobbers” are completely cooled and hardened, place them on the top of each cupcake and enjoy!!! 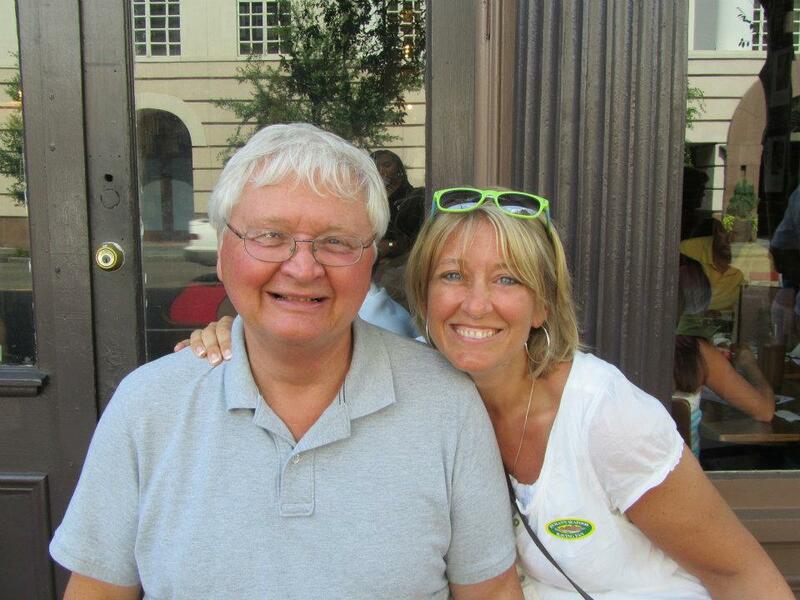 My thoughts: I really have the most incredible dad. He is funny (hilarious!) and smart and brave. 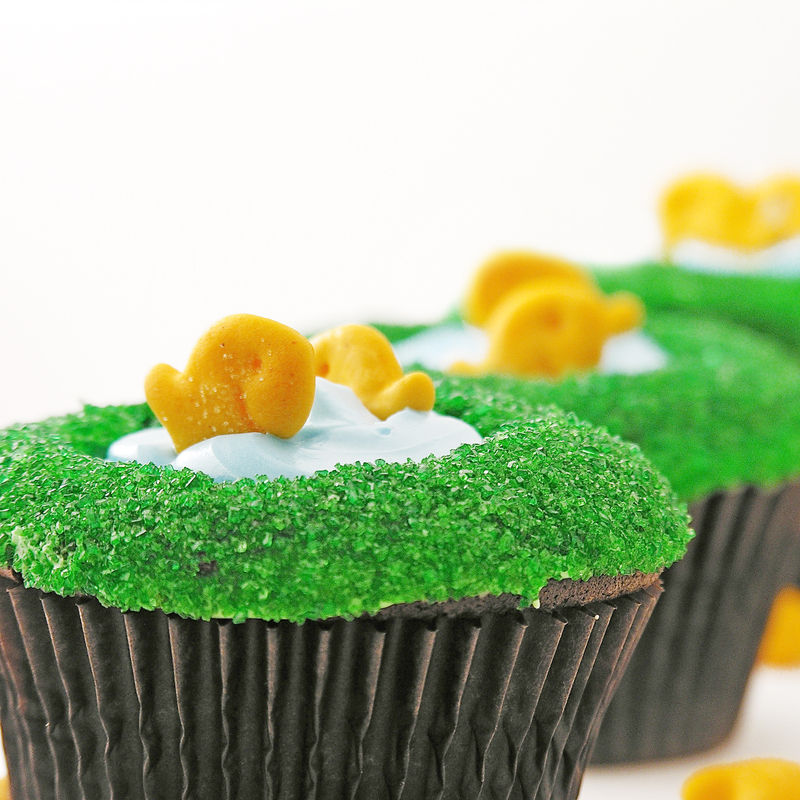 He loves golf (last year’s cupcakes) and he loves fishing (this year’s cupcakes)~ he goes to Canada every summer to fish for GIANT Walleye and Pike and then he fries them up for us all when he gets back- and they are delicious! He does roll his eyes when I say that I like bobber fishing best….but in any case, these are for you dad! I love you!!!!!!! 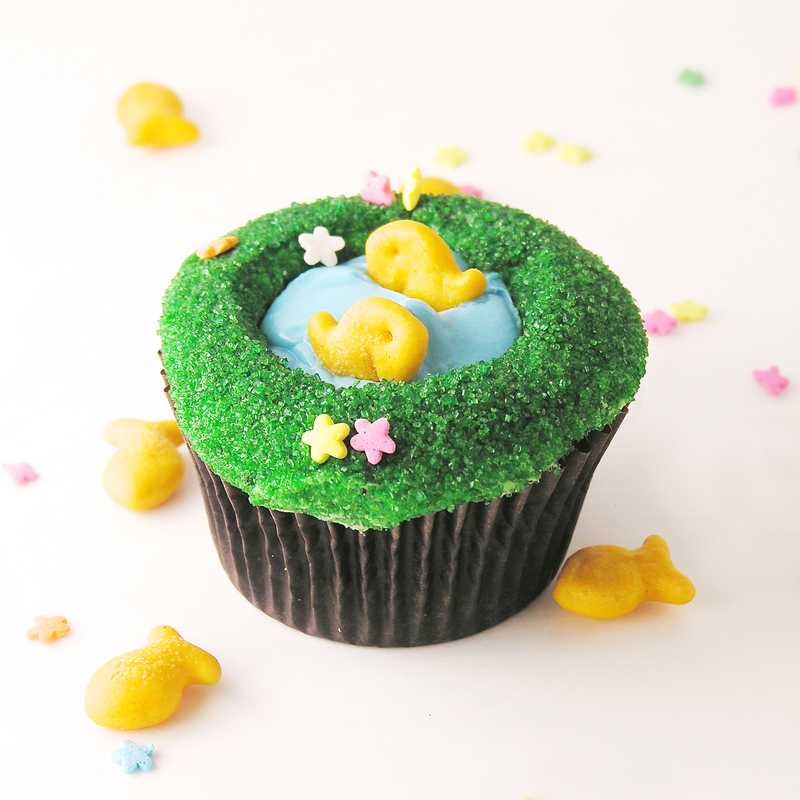 Posted in Cupcakes and tagged best, chocolate truffles, cupcakes, dessert, desserts for dad, edible fishing bobber, Father's Day, Fathers Day cupcakes, fishing bobber cupcakes, fishing cupcakes, fishing dessert, fun, lindt chocolate, lindt white chocolate, recipe, summer, white chocolate. Bookmark the permalink. 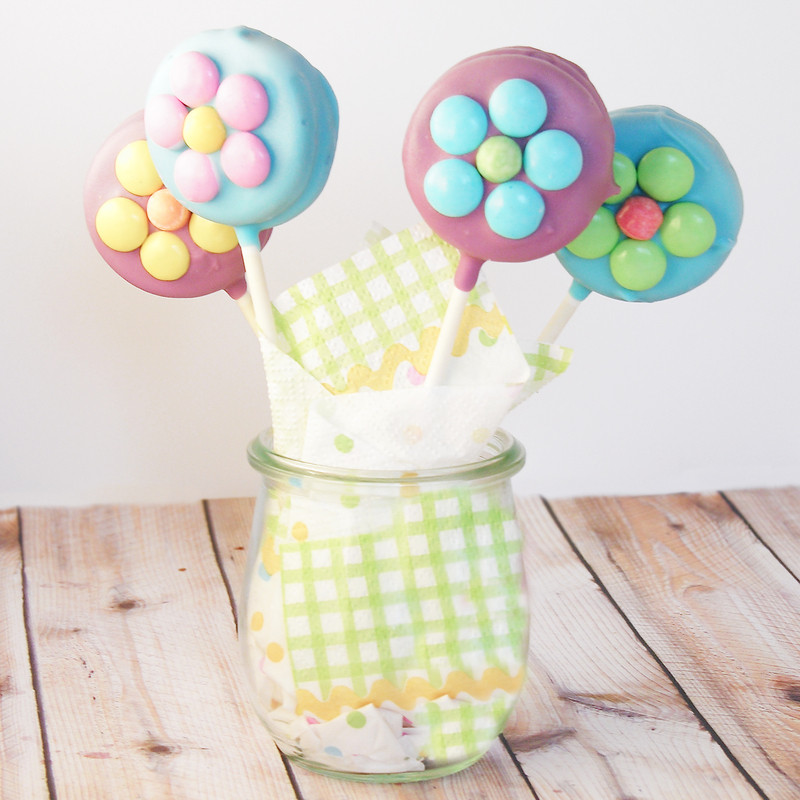 These cheery little Oreo Pops are sure to brighten anyone’s day, and they are SO easy to put together! I know…another Oreo Pop!!! I can’t stop sharing them with you– they are just so fun! I have another one in the works for a few weeks from now too! 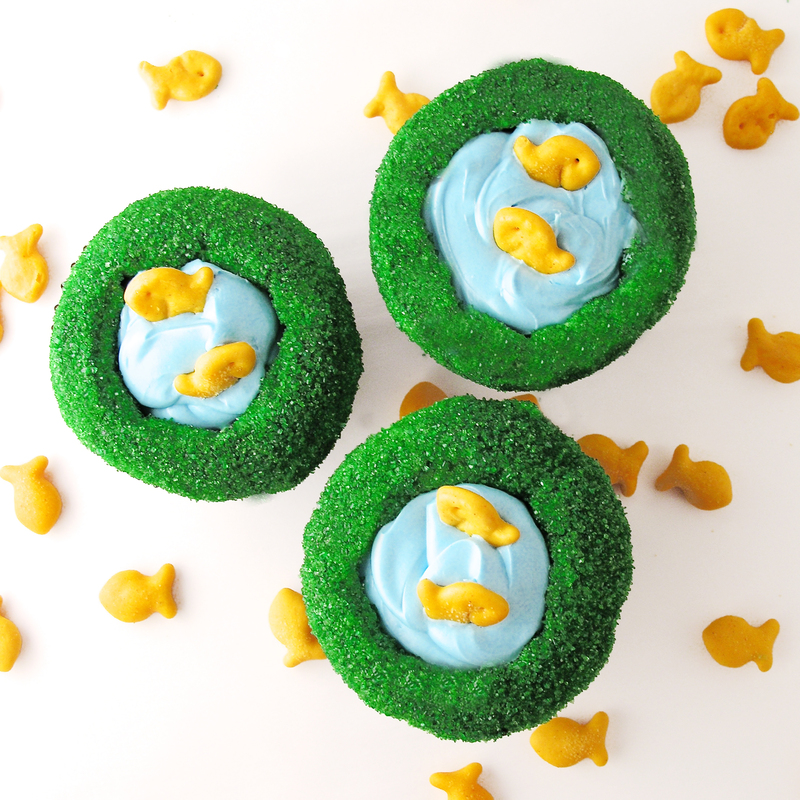 I’m in love with these fun little treats! 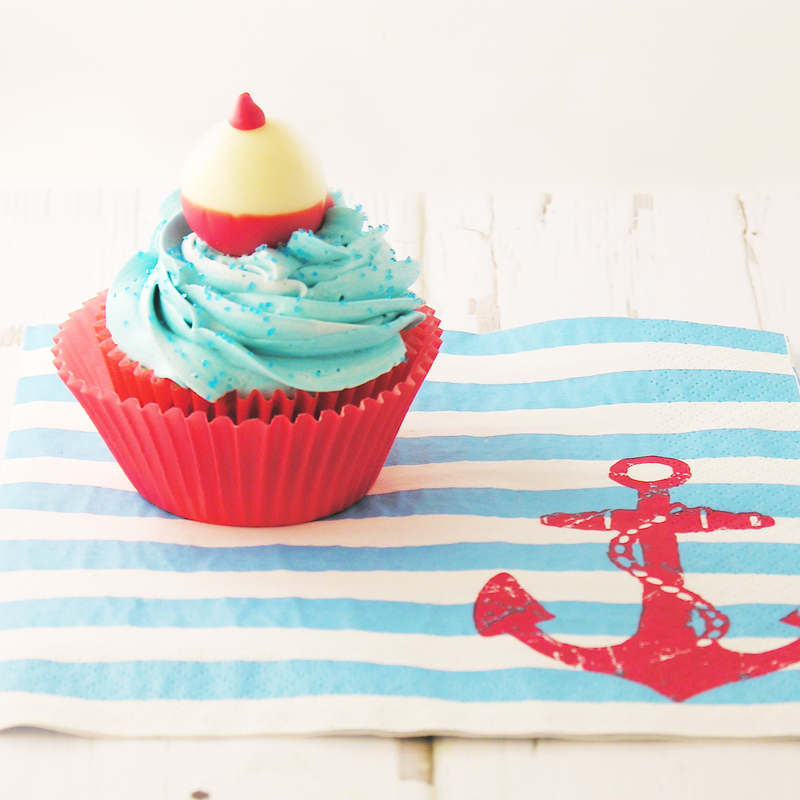 If you’ve been a fan of Easybaked for any time at all, you have seen (and maybe tried!) lots of these little bits of happiness on a stick, but if you are new here, let me share with you a pdf that will help you make the perfect Oreo Pop: How to make an Oreo Pop. 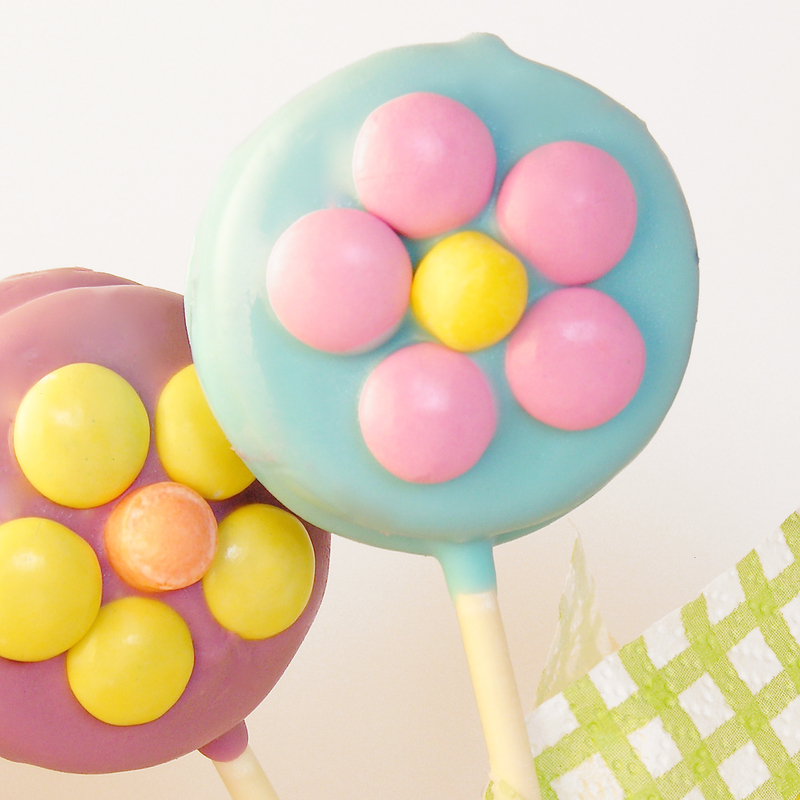 Using one of the lollipop sticks, make an indentation in the white filling of each cookie. Dip the end of one stick into the melted Candy Melts, drizzle a little in the center of the white cookie filling and then gently press it into the indentation made. Place the top of the cookie back on and allow Candy Melts to harden (10 minutes or so), cementing the cookie back together with a stick inside. Holding the stick, lower the entire Oreo into the bowl of melted Candy Melts, spooning it over the top and sides to cover it completely. Allow the excess to drain off and gently place covered Oreo on a piece of parchment paper. Before the Candy Melts harden, place M&Ms and Sweet Tarts on top in a flower pattern. Posted in Candy, Cookies and tagged candy, candy melts, chocolate, cookies, dessert, food, gift, idea, M&Ms, oreo, oreo pops, party, recipe, summer, sweet tarts, sweets, treat. Bookmark the permalink. 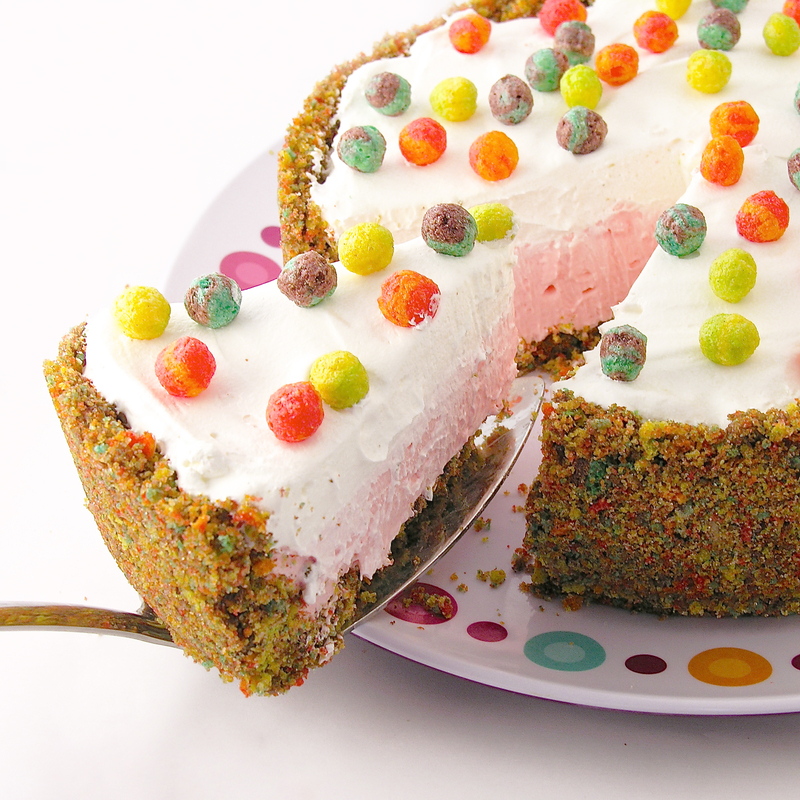 With a fruit cereal crust and sweet, creamy Kool Aid filling, this cake will have you and every child in your life asking for seconds! This recipe is made in a springform pan- like a cheesecake. 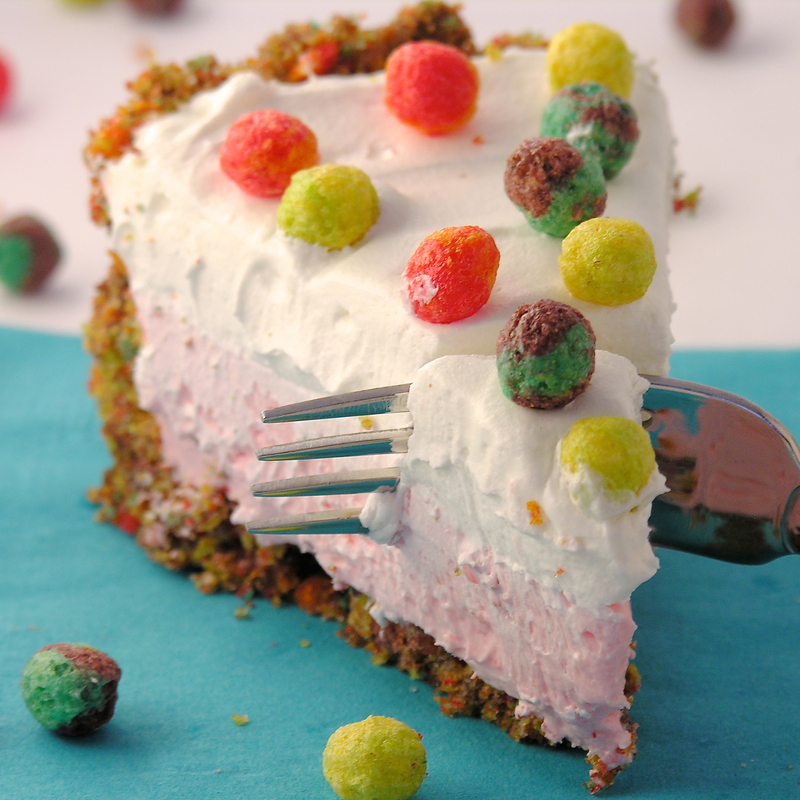 The crust is made of crushed Trix Cereal and I made my filling with watermelon Kool Aid. It was perfect with the sweet crust and slightly tart filling. The cool thing? You can use ANY flavor of Kool Aid you want! 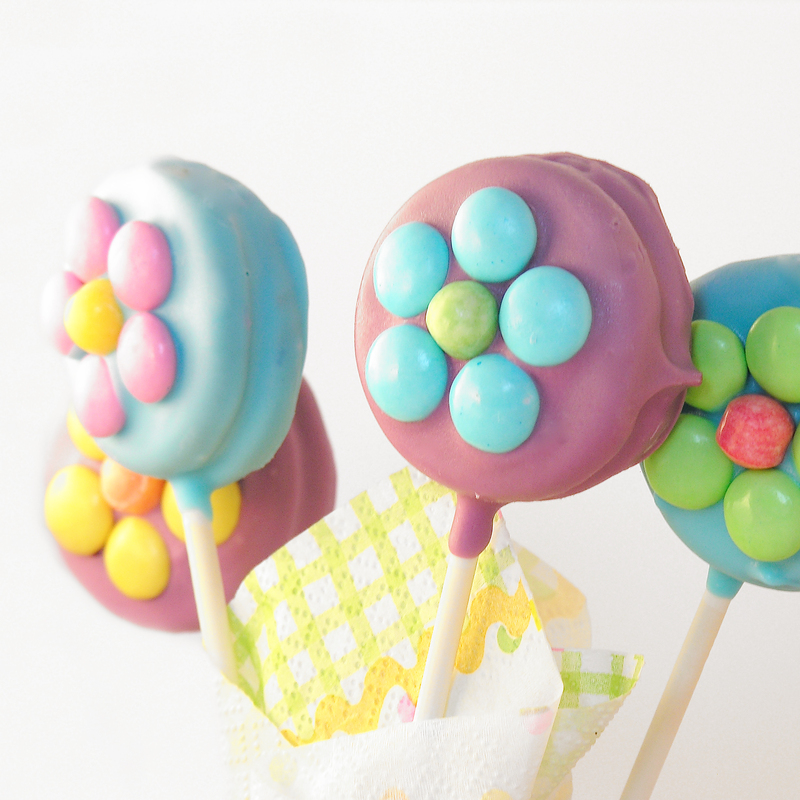 Blue Raspberry, Green Apple, Cherry, Grape, Strawberry….ANYTHING! 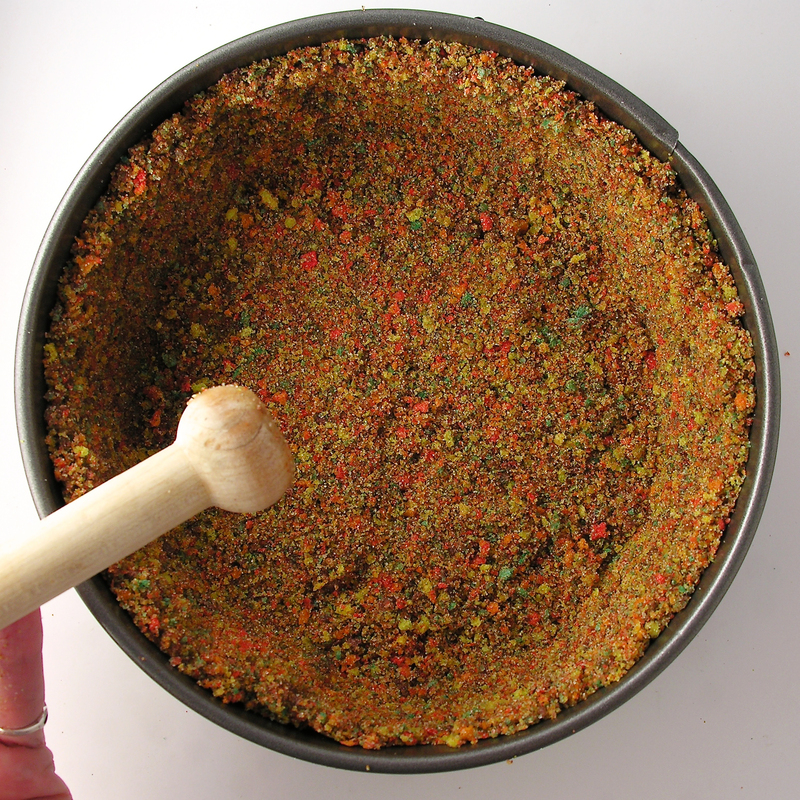 Press into an un-greased, 8″ springform pan, pressing crumbs up sides and into bottom. Leave sides on pan, and cool completely. Make filling by creaming together the cream cheese with the Kool Aid. Add Kool Aid according to how much flavor, color and tartness you enjoy. I added the whole packet, and YUM! Mix in the entire container of Marshmallow Creme and blend well. Fold in 1/2 of the Cool Whip until well blended. 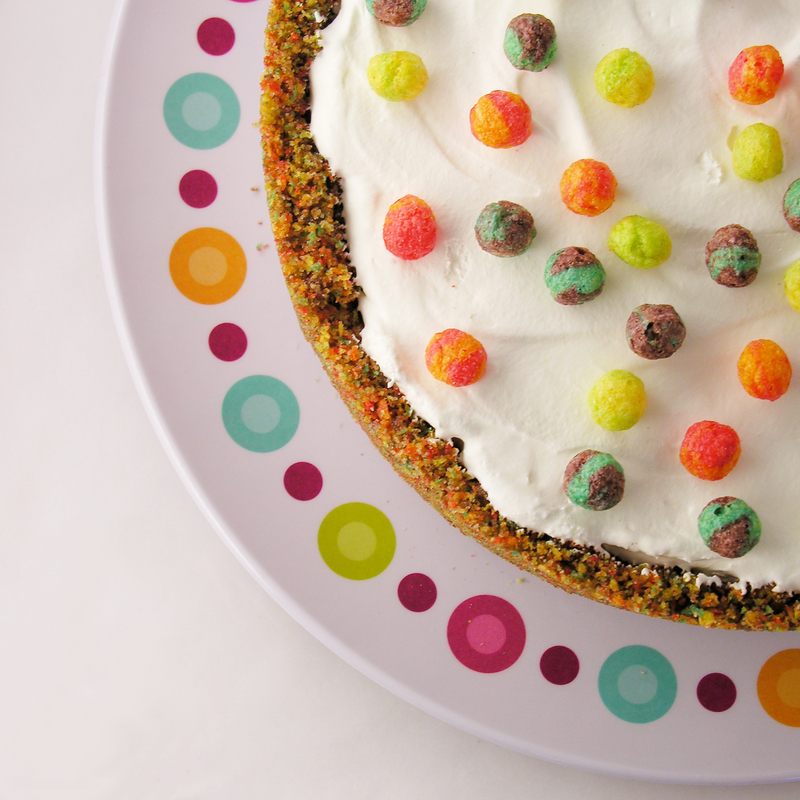 Carefully spoon filling into cooled cereal crust, and very gently (as to not pick up crumbs of cereal), spread it to the edges. Spoon remaining Cool Whip on top. 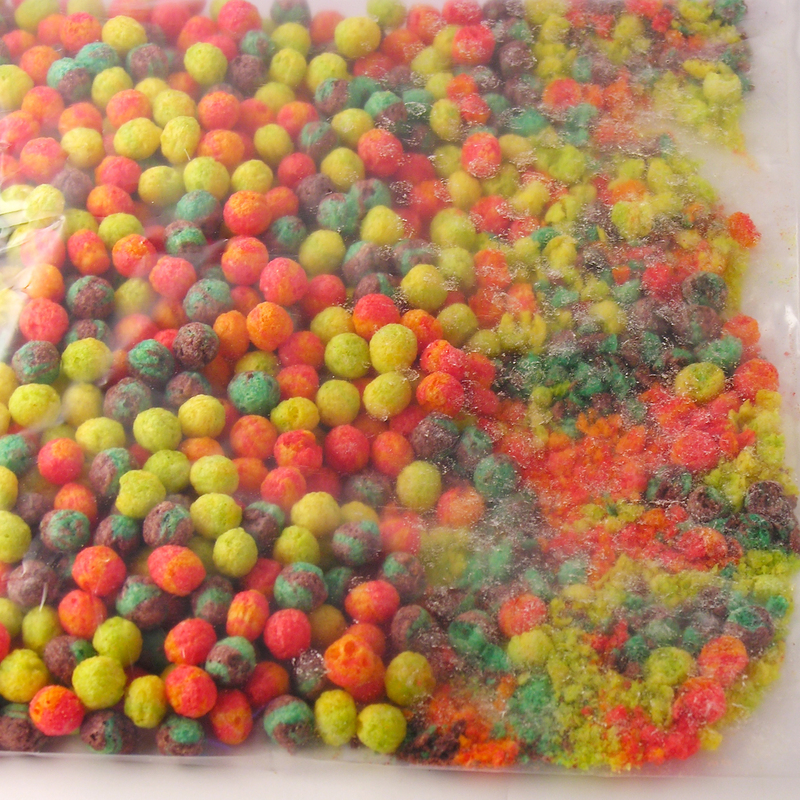 Store chilled, and just before serving remove sides of pan, and sprinkle extra cereal on top. 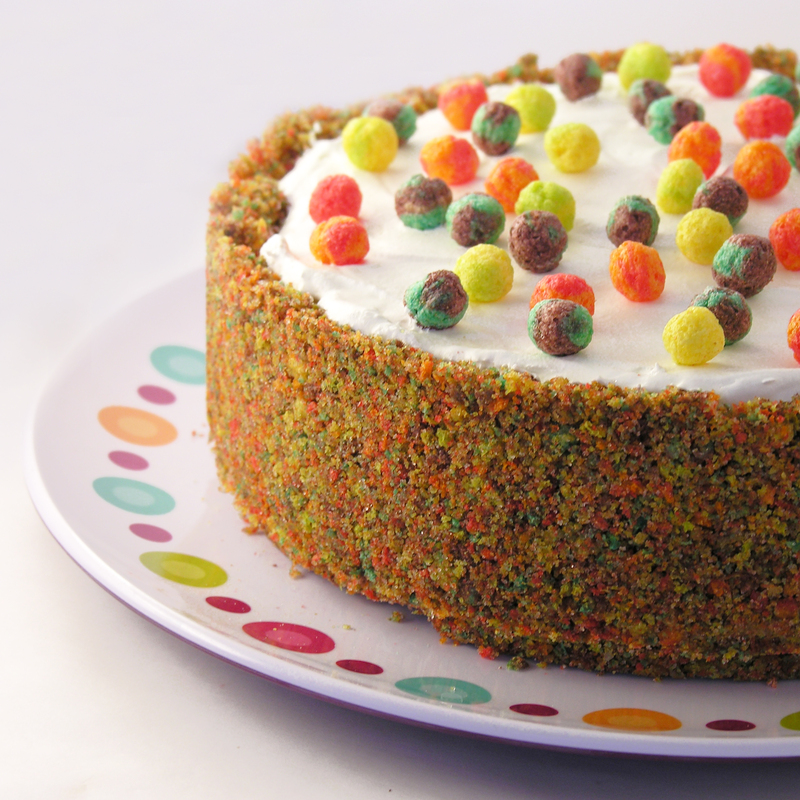 Posted in Cakes, Pies and tagged cake, cereal, cereal crust, cool whip, dessert, fun, idea, kids, kool-aid, party, philadelphia cream cheese, pie, recipe, springform pan, summer, Trix cereal. Bookmark the permalink.